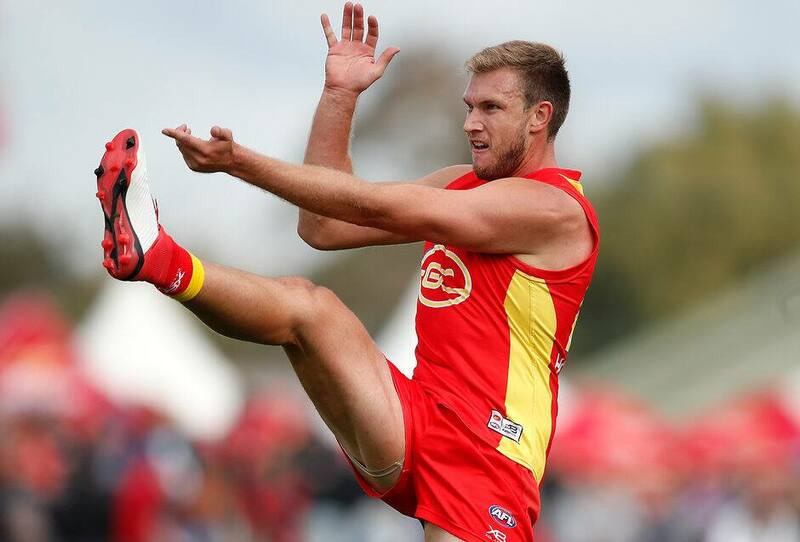 The Gold Coast SUNS NEAFL side has fallen just short in its first competitive outing for 2019 on a clear Canberra afternoon. The SUNS looked a strong chance to overrun the tired Demons with a spirited six-goal fightback in the final quarter, led by Sam Day who finished with five goals and eight marks for the day, but were beaten by the clock. Day was ably supported by fellow tall Brayden Crossley who had three majors of his own. The Demons’ slick ball-use rebounding out of defence was a feature on the day and one of the driving factors in the win. Demons accumulator Mitch Maguire hasn’t slowed down from his impressive 2018 season, racking up 32 touches in the win. For the SUNS, it was Will Brodie (38 disposals), Michael Rischitelli (29) and Aaron Young (27) who were most prominent in the midfield, capitalising on Tom Nicholls’ advantage in the ruck. Meanwhile Jacob Dawson never gave up and was influential early in his new role off half-back, finishing with 24 disposals. Connor Nutting had a scare late in the first quarter when he was assisted off the field with what looked like a right ankle injury, but was strapped up and able to play out the match. After a slow start to the match, SUNS NEAFL coach Nick Malceski said he was happy with his side's ability to turn up the pressure on the opposition. “It was frustrating in the first half because we’d show glimpses of what we wanted to do and then they’d go and kick an easy goal,” Malceski said. “But then in the last quarter, that was exactly how we wanted to play. “We like to play in our front half and I thought they found it hard to get it out." Next up the SUNS will take on Sydney at Metricon Stadium on Sunday morning.